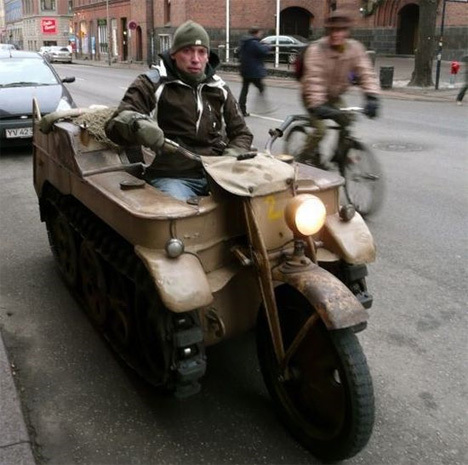 Here’s a solution for everyone having trouble getting around the slick streets in winter. 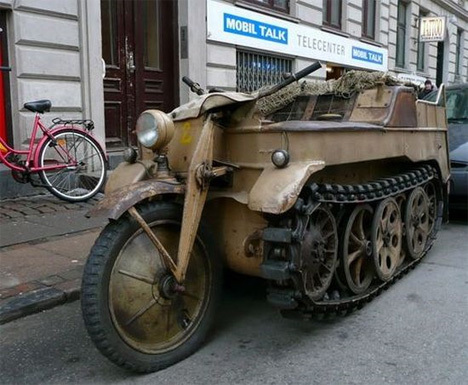 This ex-Wehrmacht machine is the love child of a motorcyle and a tank. 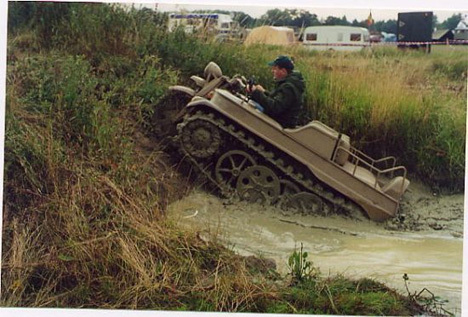 Despite its history as a war machine, the SdKfz 2 (also known as a Kettenkrad) is a powerful vehicle that can take its driver over pretty much whatever terrain they desire. 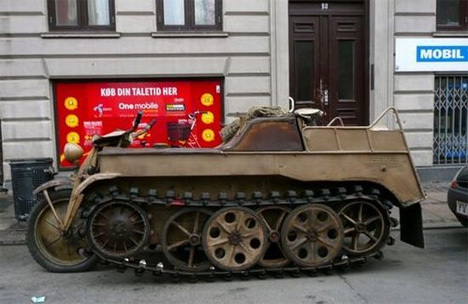 This particular Kettenkrad was seen parked on the streets of Copenhagen. During WWII, however, it was a workhorse that was used to haul soldiers through thick mud, lay cables, pull heavy loads, and even tow aircraft to save on aircraft fuel. The unique controls and sturdy tracks of the machine made it ideal for agricultural use even after the war. And some, like this one, were given a second life as a day-to-day transport vehicle. There are now entire communities of Kettenkrad devotees who collect and restore the machines, and gather periodically to show them off. Of course, driving around a vehicle that was once used to carry out some pretty awful acts in the name of war wouldn’t appeal to everyone. But to lovers of truly unique vehicles, maybe these misunderstood motortanks are like stray animals who deserve love, regardless of their past. See more in Bikes & Cycles or under Transportation. January, 2010.